Rain was bouncing off the van roof this morning making us doubt whether we were going to get anything done on a mediocre forecast. We decided to embrace the wet though and managed to make it up into Stob Coire nan Lochan with an open mind as to what to climb. 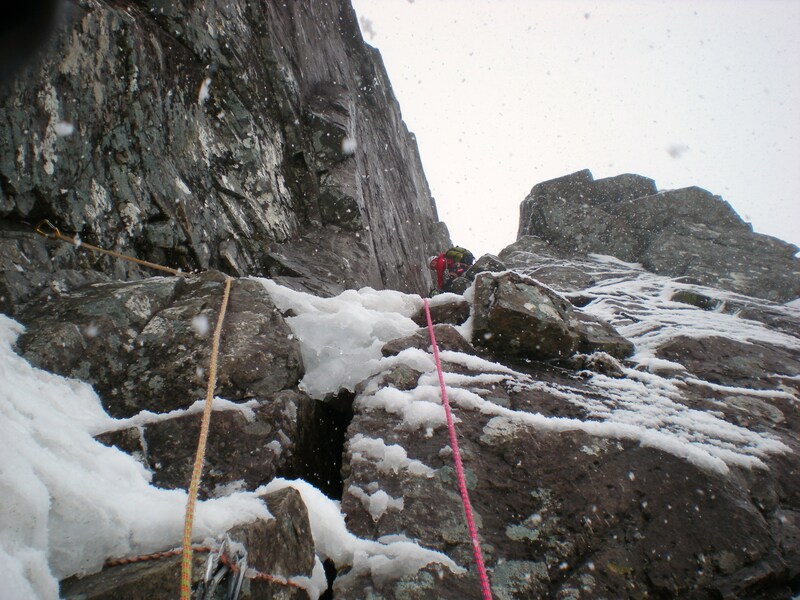 Scabbard Chimney (V,6) hit the bill with no droopy cornices threatening to spoil our day. 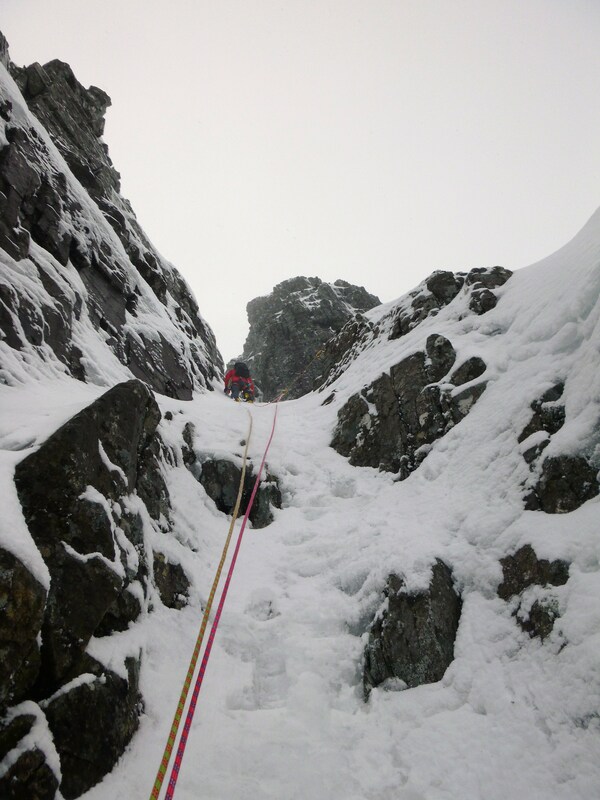 The route was in pretty good condition, the crux has now thawed enough to be a mixed climb with plenty of gear and true to the grade. The remaining 3 pitches were pretty run out with little gear but a certain drop in technical grade, topping out and a great descent down NE Ridge al made for a great day out. 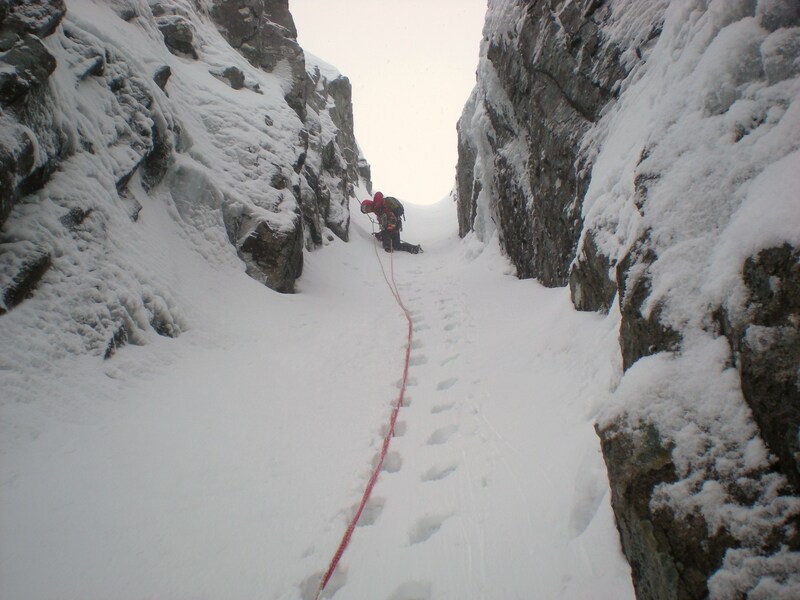 It pretty much snowed/rained all day with the freezing temperature sitting around the summit, wind was pretty benign but there was some serious powder avalanches flowing down the route all adding to a great ‘Scottish’ day out.